Valentines Day is just around the corner! Scentsy has SO many awesome ways to show that special someone just how much you love them! To take a look for yourself feel free to shop my Scentsy Website! If your man is a College Football Fan there is no better Scentsy gift than the Officially licensed Scentsy Football Helmet Warmers! These football helmet shaped Scentsy Warmers are awesome and are innovative, custom-made Scentsy Warmers with a heat plate to warm the wax rather than a light bulb. 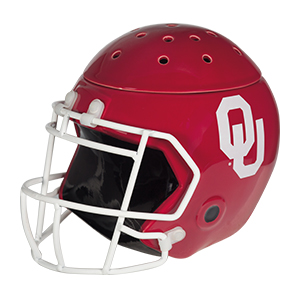 The college football helmet Scentsy Warmers are available for an ever-growing collection of Universities from Alabama, BSU, to University of Texas, Oklahoma, and Oregon. Find his favorite at my Scentsy Website! 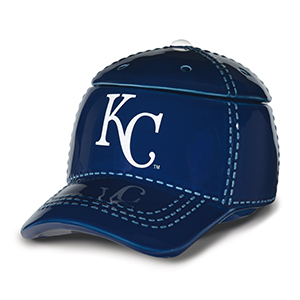 Or maybe your man is a Professional Baseball fan! These officially licensed, unique MLB Scentsy Warmers are available for a growing collection of professional baseball teams including the Chicago Cubs, Toronto Blue Jays, Boston Red Sox, St. Louis Cardinals, New York Yankees, and the Texas Rangers, and more. Just like the College Football Helmet warmers, these fun-shaped warmers use a heat plate to warm your favorite Scentsy fragrance. Find his favorite at my Scentsy Website! where you can buy online this and any other Scentsy products. The Outdoorsman! If your favorite hombre is the outdoors-y type there are plenty of great, outdoor themed Scentsy Warmers to match his rugged lumberjack style. 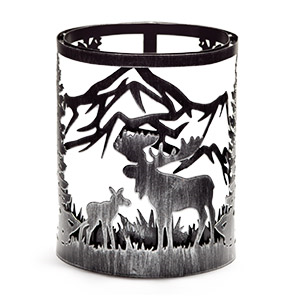 Perfect for the cabin or to make the home or office feel a bit more rugged, this Moose Valley Scentsy Wrap or any of our other Scentsy outdoor themed warmers fit the bill. 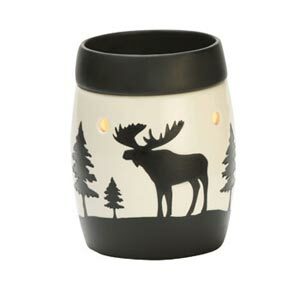 To shop this Moose Valley Scentsy Wrap simply visit my Scentsy Website or follow the link to browse all of my Scentsy Warmers. Yeah, so I know I recommended just visiting my Scentsy website to shop all of the cool Scentsy Outdoor themed Warmers but I saw this Yukon Scentsy Warmer and just couldn’t NOT talk about it! This warmer is a classic, very popular Scentsy Warmer that continues to sell well every year! It’s proven to stand the test of time and is always a favorite among the outdoor crowd! Wow! 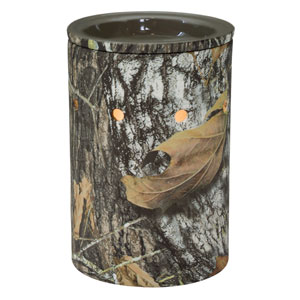 I don’t know how I almost forgot the Mossy Oak Scentsy Warmer! This officially licensed Mossy Oak Warmer is a perfect fit for the man that finds himself wearing their products every other weekend during some parts of the year! 😉 This cool Scentsy warmer is available to buy online at my Scentsy Website. 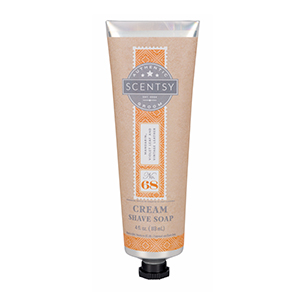 The Scentsy Cream Shave Soap is probably one of the most underrated products we have. My man loves this stuff and says it makes shaving much more bearable and doesn’t leave his face feeling all scratched up and sore. Instead, he says it makes shaving smooth and leaves his face feeling smooth and moisturized…as much as a man wants his face to feel moisturized! 😉 These are available in 5 yummy fragrances that you’ll love to have your man sporting and are available to buy online at my Scentsy website. 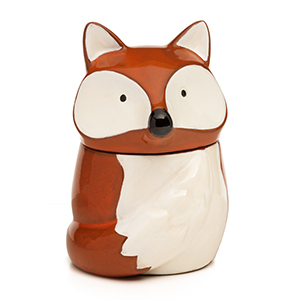 Let’s face it, Scentsy has so many amazing gifts for that special foxy lady in your life! There are so many fun fragrances, warmers, the very cool diffusers, and even Scentsy Buddies! Below are some of my favorite recommendations of Valentine gifts for your favorite lady friend! All of these amazing Valentine Gift ideas are available to buy online anytime at my Scentsy Website. 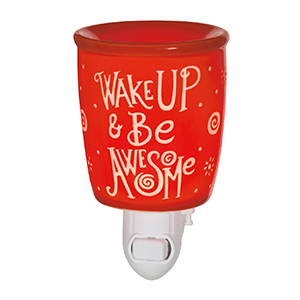 You love your lady so tell her everyday how awesome she is with this awesome Scentsy Nightlight Warmer! This is such a fun warmer that she is going to love having tis reminder of how awesome you think she is in front of her every day! This fun Nightlight Warmer is available to buy online. 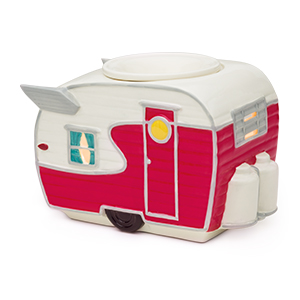 The massively popular Scentsy RV Warmer called “The Road Less Traveled” sold out and is now back! This was definitely one of the most popular warmers Scentsy has ever introduced! I had so many customers on a list to buy this beaut but now it’s available without any waiting and it’s such an awesome warmer! This warmer is just one of the warmers of a fun Scentsy Retro collection that includes a scooter, retro toaster, and roller skates warmer – how fun is that! Visit my Scentsy Website to shop all of the Scentsy Retro Warmers. Have you ever tried Diffusers? 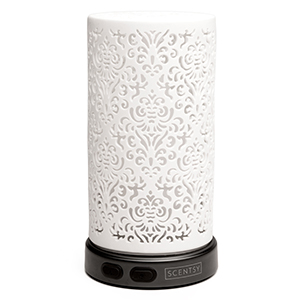 Scentsy Diffusers are industry-leading with features like auto-shutoff, over a dozen different lighting preferences including flickering candle and a very tiny mist that is a fun way to fragrance your home with Scentsy Essential and Natural Oils. We have the warmer above and it adds a nice, calming way to fragrance our home with the bright lights of a regular Scentsy Warmer and a fantastic collection of scented oils. This is a winner every time and is available on my Scentsy website to buy online any time. This. Is. Just. SOOO. Fun. How cool is this warmer?! I was in World Market the other day and saw Fox decor everywhere and this is my favorite! Foxes are very trendy right now and this makes an awesome addition to any home decor and lightens up the mood with a cute little fox in the corner! The Scentsy Essential Oil collection has so many great scents that you can’t get anywhere else and are made from quality ingredients. Diffusers are great for rooms where you don’t want a Warmer but prefer the soft, subtle light of the diffuser (or no light at all is one of the settings) and prefer a misty smooth scent. The Scentsy Essential and Natural Oils are so great and last forever! Buy Scentsy online to have your gift sent directly to your home. Shop Scentsy online. Wow, you can’t send the message, “I Love You and you deserve to pamper yourself”, this Valentines day more than with the extremely smooth Scentsy Whipped Body Souffle. This stuff leaves your skin feeling amazing and is perfect after a long day (or any day for that matter! 😉 at the office, carpooling, shopping, cleaning up what the kids said they already cleaned (yeah, been there!) or a hard day at work. Want to see her smile, this is what you’re looking for.